The Special Collections & Archives division of Florida State University Libraries includes Special Collections & Archives, Heritage Protocol & University Archives, the Claude Pepper Library, Cataloging & Description and the Digital Library Center. The division advances research by acquiring, preserving and providing access to primary and secondary source materials through our different areas. Our division is large; over 20 people under five different umbrellas, each with their own focus. Over the next month, we’ll be introducing our different hats to you as we re-launch this blog as a way to share our daily work, our special projects and our events and exhibits with the FSU community and beyond. We’ll start at the top: Special Collections & Archives. This is the name for the entire division but it is also the name for the area in the division that holds the rare books, historic maps, photographs and unique manuscripts collected by FSU Libraries since its beginning. We’re located in the Special Collections Reading Room in Strozier Library. Headed by Associate Dean Katie McCormick, Special Collections & Archives is home base for Burt Altman, Archivist, William Modrow, Rare Books Librarian, Lisa Girard, Collections Manager and Krystal Thomas, Digital Archivist. Many student assistants as well as the faculty and staff in other areas of our division assist us in our daily work and projects. 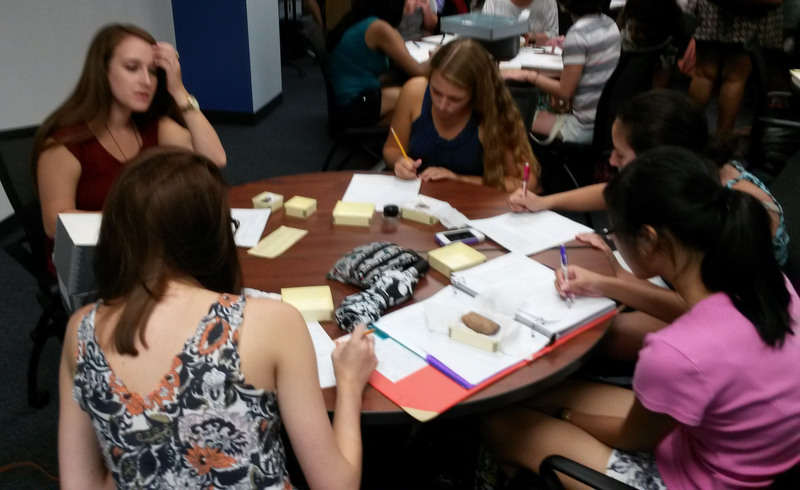 Students work with Special Collections materials during a class taught by Bill Modrow. In classes, programs and exhibitions, we support active learning and engagement through use of our collections. We conduct class-specific sessions and work with professors to make sure we’re enhancing the curriculum and help students with primary source material-based projects. One example of this is our collaboration each year with the Museum Objects class on campus who take over our exhibit room to get hands on experience with planning, installing and promoting physical and digital exhibits. The faculty and staff of Special Collections work hard to create and maintain discovery tools for our materials and are constantly re-evaluating and editing our finding aids, library catalog records and digital collection records to make sure our materials are easily findable. We’re also always on hand when materials are being used in the Reading Room to answer any questions and de-mystify even the most challenging of our collections. We know using our collections is unique for many of our patrons so whether it’s a one on one research consultation with our materials or a short tutorial on navigating our online finding aids, we make sure you can find what you need. One of our staff talks through what needs to be digitized for a patron. We are lucky to have varied collections for patrons to use. We hold one of the largest collections of French Revolution and Napoleonic research materials in the world in order to support the Institute on Napoleon & The French Revolution at FSU. We also have an extensive collection of children’s poetry and literature in the John Mackay Shaw Collection and a large Florida history collection in both books and manuscript materials. 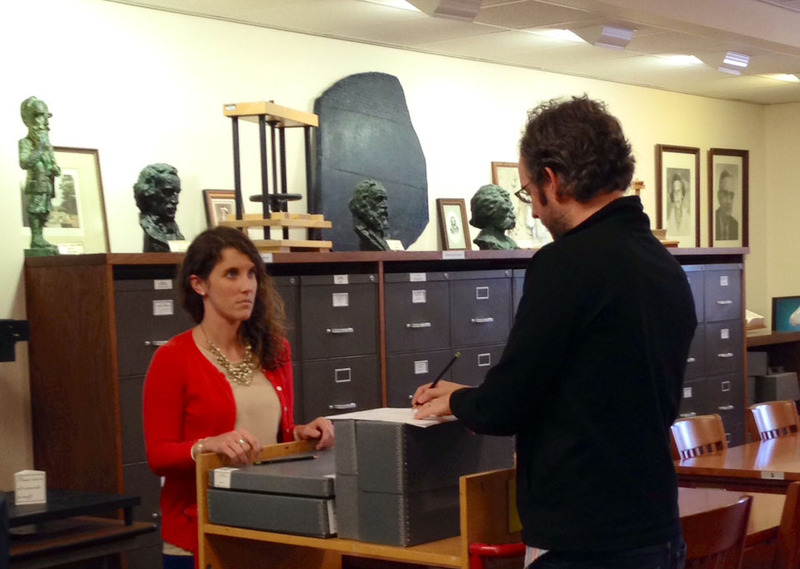 Our rare book collection stretches from the earliest cuneiform tablets to the artist books being produced today. We’re also well aware that we live in the 21st century and we have many avenues open to us to share our materials with those patrons who can’t make it to Tallahassee. The FSU Digital Library (FSUDL) holds many items from Special Collections & Archives and will continue to add more as we work to make our collections more and more accessible, as well as searchable, for our users. In this work, we often digitize materials for patrons who need images for publications or special projects that we can then bring in to the FSUDL. Over the next few weeks, we’ll introduce the other parts that make up the Special Collections & Archives division at FSU!